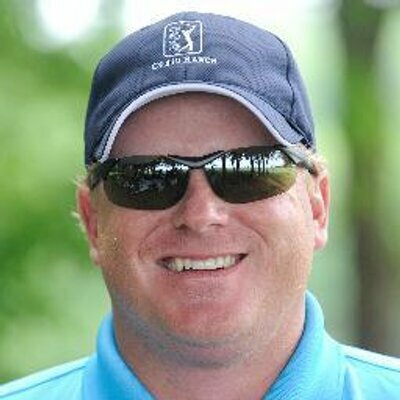 CJ:	Hey CJ Goecks from shortgamesecrets.com and I want you to understand here. This is the most important practice drill you're going to do. If you only have a couple minutes to warm up before you have to be on the tee or even a minute, this is what you have to do. This is the front middle back drill. Remember, what we've already kind of covered the philosophy and if you haven't watched that video yet, please make sure you understand the importance of it's not your job to make a putt. Speed is one of the crucial areas and remember speed broken down is practice. We're going to teach you how to practice like a tour player and perhaps even better than a tour player. What I've got here is, I've got 3 balls. Most people walk up to the green with 3 balls but they don't know what they're doing. What we're going to do here is we're going to get about 3 or 4 feet. Just get here, hit our first putt and just barely trickle the ball into the hole. Just a bit last little teeter tot, right? Then you're going to hit one that goes middle of the cup right here. I don't care if you make or miss at this point. Then finally I want it to hit off the dirt in the back of the cup, that one actually hopped over and that's okay. Spend some time doing this front, middle, back, back, back, front, middle. Can you control your speed when you need to? Then come over here and we want to walk over to about 10 or 15 feet. Anything that's got a pretty decent size break. What we're going to do is we're now going to line it up. We didn't have to initially but I'm going to take this and I'm going do what Tiger did when he first came out on tour. I'm going to try to hammer this in the cup. I'm going to hit this firm. If I'm here, this is a little too much break but we're going to go with it. We'll take 30 seconds or 5 seconds here to get it right. I'm going to go firm here, you could see as I go back and through. You could see that, that line is rolling end over end, I hit that too far. But I hit that about 6 feet by, these greens are fast today. But the line was rolling end over end. Remember from our previous video, we're going to become that scientist. We're going to ask why? Now I missed that on the low side. Why did I miss that? Did I hit it too hard? Well I definitely hit it too hard but if I hit that softer, it would've broken more. Think about if I threw a fast ball, gravity doesn't effect it. If I hit it soft, I have to lob it more. So that one had a lot more break to it. What I'm going to do is, I would go medium speed. Then finally what I'm going to do is, I'm going to play a lot more break and I'm going to what we in golf term it as playing the highest line possible. What does that mean? Well think about his logically, if I hit this firm, I could aim it here. If I hit it medium speed I can aim it here. If I hit it soft I'm going to hit it here. The putt is going to break a lot more and you'll see that here. You'll see the line on this ball. It will roll end over end, hopefully if my techniques good. But I'm going to do it Ben Crenshaw, who arguably is the best putter ever to play the game. We're going to hit that a lot softer and just on the other side and these greens are fast. That still actually was too fast. I have to hit that softer, so I have to play even more break. As I look at this, this putt from about 10 feet is literally breaking about 3 feet because these greens are so fast. I have to hit this soft enough right here so that it breaks into the hole. You can see how that line is rolling end over end. Ask yourself at the end, become that scientist. Why did I make or why did I miss? I'm not concerned right now on whether you're making or missing. Can you control your speed? This last one, why did I miss? I didn't hit it hard enough. The other ones, I misread it. That happens but as long as I'm learning from it, I am becoming a better putter. Remember, if you only have a minute or if you have 20 minutes, you're major drill that you need to do to improve your speed, is front middle back. That will help you control your distance, that will help you make a lot more shorter puts and have you shooting a lot lower scores.